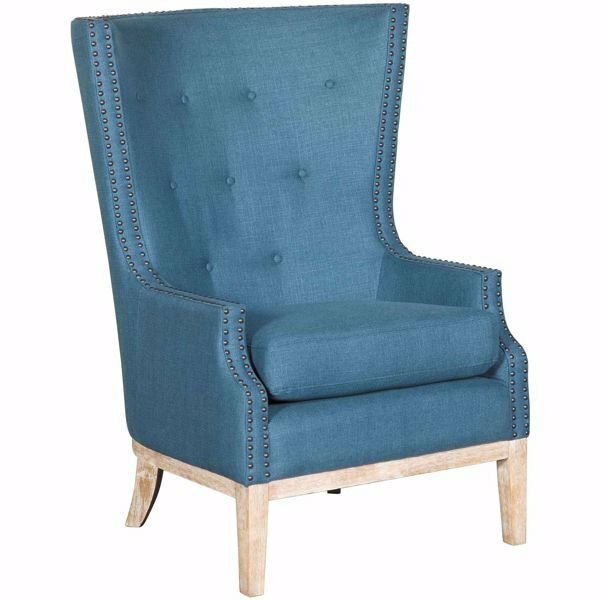 Bring a little elegance to your home with the Cora Blue High Back Chair by Cambridge Home. 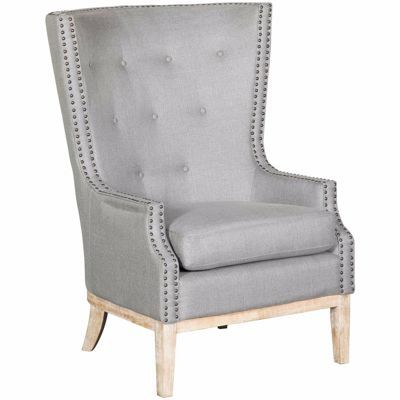 This chair has a dramatic high wingback design enhanced with button tufting, antique brass-toned nail head trim, and a weathered wood base. The linen-look blue polyester cover adds texture to complete the look. 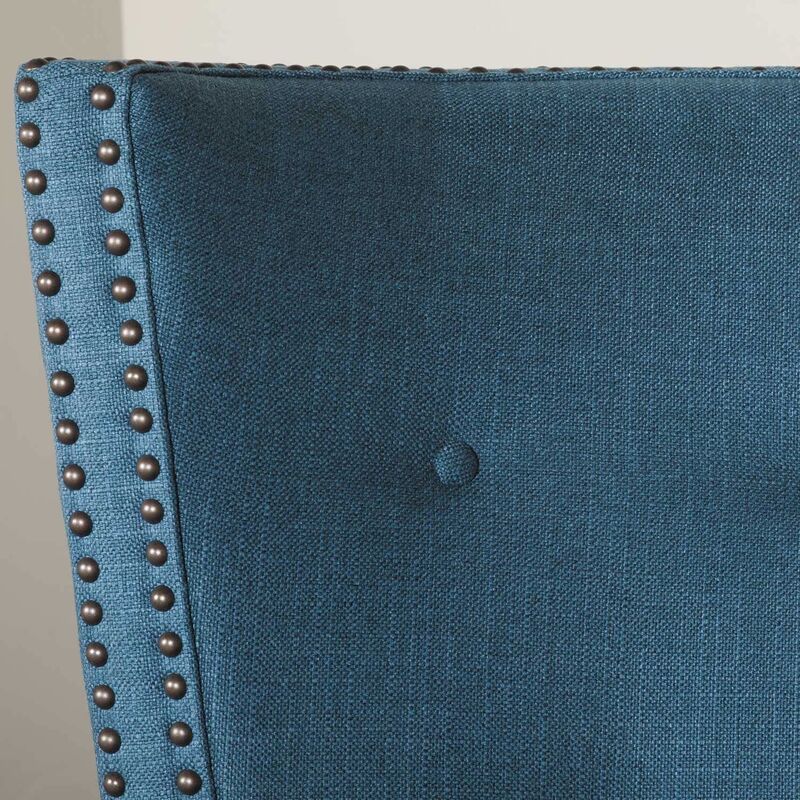 Bring a little elegance to your home with the Cora Blue High Back Chair by Cambridge Home. 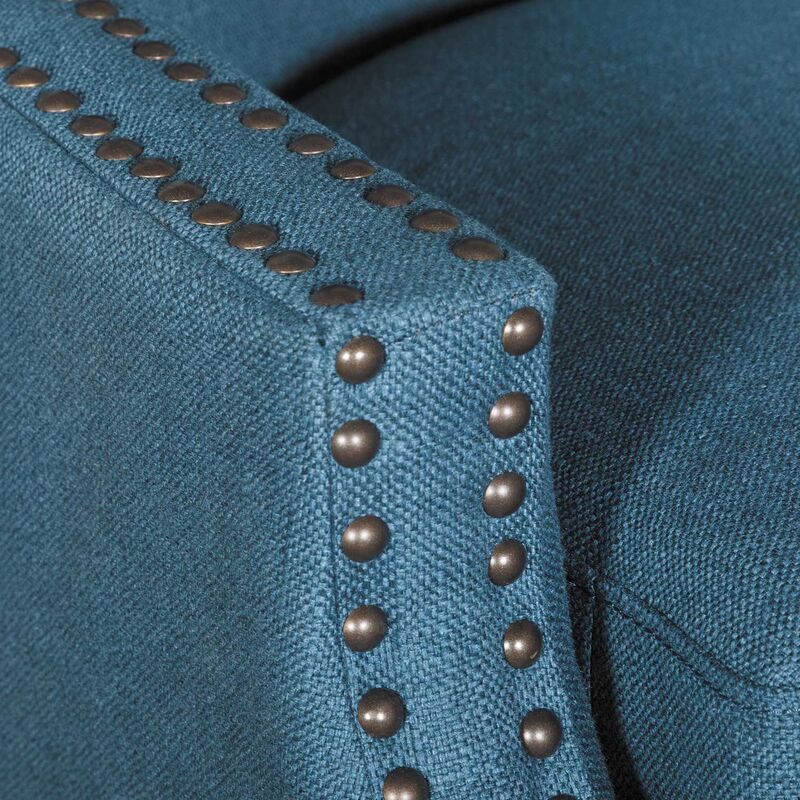 Cora Blue High Back Chair from Cambridge Home. Chair is covered in a blue polyester cover.